Leading Wholesale Trader of intrinsically safe level probe transmitter, submersible pressure transmitter and wika level transmitter from Pune. 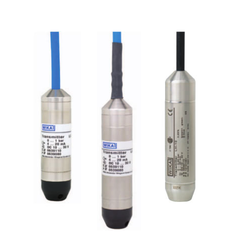 Our company is one of the leading companies in this line of work of a much wider range of supreme quality Intrinsically Safe Level Probe Transmitter in the market. 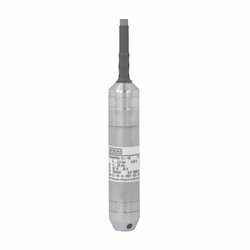 Our product range also includes one of the best quality level probes. We are providing intrinsically safe level probes to our clients with in very reliable way These intrinsically safe level probes has been manufactured using most excellent quality of materials. Level probes determine the exact amount of substance in a certain place. These intrinsically safe level probes are highly required in wide area and we offer these products to our clients with very sufficient range. Our company has made a renowned name and fame in the industry for the Distributor & Supplier of a much wider comprehension of several supreme quality Submersible Pressure Transmitter one of then we are offering submersible pressure transmitters to our clients. Pressure transmitters are used to indirectly measure other variables such as fluid/gas flow, speed, water level, and altitude. We are one of the most reliable and trusted vendors of these submersible pressure transmitters and provide these products to our clients at a very convenient range of prices. Our company is one of the renowned names of the market that distributes and trades Wika Level Transmitter that are manufactured in compliance with the set industry norms, at vendors’ end. Vastly demanded in machine building, hydraulic aggregates, general industrial and food & beverage industry applications, these efficient, lightweight and robust transmitters are immensely sought after. 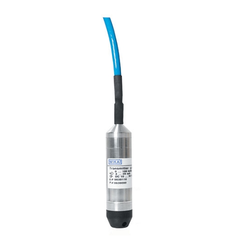 Looking for Wika Level Transmitter ?